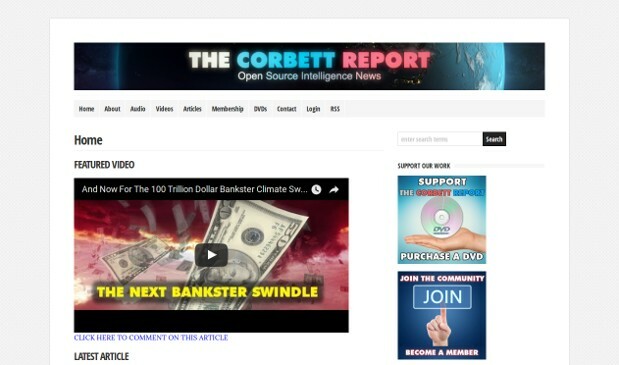 The Corbett Report is an independent, listener-supported alternative news source. It operates on the principle of open source intelligence and provides podcasts, interviews, articles and videos about breaking news and important issues from 9/11 Truth and false flag terror to the Big Brother police state, eugenics, geopolitics, the central banking “fraud” and more. The Corbett Report is edited, webmastered, written, produced and hosted by James Corbett. He started The Corbett Report website in 2007 as an outlet for independent critical analysis of politics, society, history, and economics. Since then he has written, recorded and edited thousands hours of audio and video media for the website, including a podcast and several regular online video series. His work has been carried online by a wide variety of websites and his videos have garnered over 30.000.000 views on YouTube alone. Misinformation on the Zika Virus?